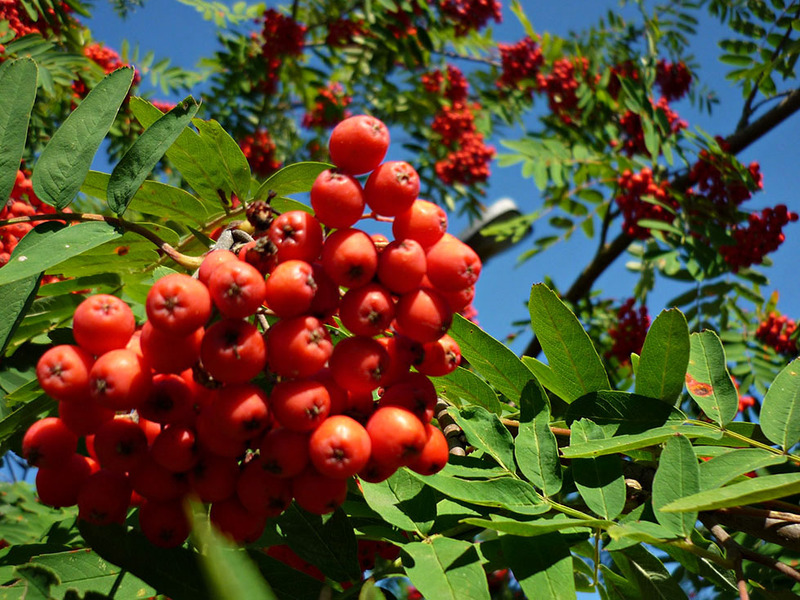 Rowanberry is the berry that most people leave in the tree (or bush), not knowing what to do with it. I’ve even heard people asking if it’s poisonous. Well, it’s not! 🙂 It’s actually full of vitamins and worth picking and preparing for the winter. I serve rowanberry jelly with game dishes. It has a distinctive flavor which goes very well with dark meat. I add vanilla to hide the bitterness of the berries. Wash the berries, add water and boil them for half an hour. Pour the juice through a strainer and squeeze the berry mash through it as well. There should be some 3,5 dl’s of juice now. Heat up the juice. Cut the vanilla beans in half. Scrape the seeds in and add the bean halves. Add the sugar and boil the jelly for a couple of minutes. Can the jelly when it’s warm but not hot anymore. Cut the vanilla bean halves in half and add one of the pieces in each glass jar filled with the jelly.